“When I think of when I first started Fineline it seems such a long time ago and I suppose 1986 is. So much has changed since then. Fashions have changed in clothes, homes, cars and people’s lives in general. Other kitchen companies have come and gone with different tactics and pitches, but we’ve stood the test of time. Everything is available within a few minutes online but nothing beats being able to visit a local business and build a relationship. I may own the company, but I’m still very hands on and continually involved in every aspect of the business. As a result, Fineline retains a personal touch often lost in other companies of a similar size”. “Old school principals are tried and tested but I’m always open to new ideas to grow my company and I encourage all employees to contribute to this”. “We are a leading independent furniture company in the Northwest but more than that, we are a family business that takes pride in turning your concept into reality whilst delivering a stress-free experience. My hands on approach has earned me a reputation, where I can have complete control from design to installation and a customer service second to none”. Manufacturing on site allows us to guarantee precision quality and greater control over delivery schedules, all executed by a highly skilled team of time served craftsmen. Rebecca joined Fineline in 2011 from university where she completed a degree in Interior Design. Rebecca’s passion is all things design and after being with Fineline for the past 7 years she now heads up the design team. Although based in Chadderton, Rebecca spends time at the Warrington showroom to support the designers. Designing is such a fast-paced business, it constantly changes and challenges us, which is what I thoroughly enjoy about my job. At Fineline I love the autonomy I have with my design flair, also it’s such a customer focussed company and a great place to work, knowing that each job is given such a high regard by everyone from the first point of interest, either as a showroom visit or internet enquiry, to the design, manufacture and finished product. Mica has been with Fineline for 4 years, after completing her university degree she worked for a design agency for a short time before joining Fineline. Mica is delighting Fineline customers with her natural talent in design skills. I thoroughly enjoy meeting people and working with both new and returning customers, helping them to create their dream kitchen, bedroom or home study. Taking a space and creating something that you know is going to be pivotal to their daily lives is incredibly satisfying, I must admit; the best part of the job is seeing the finished results and the smiles on customer faces. 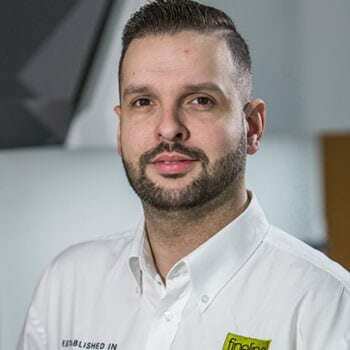 Ian is based at our Warrington showroom, he has been with Fineline for 6 years, but has been in the industry designing kitchens and bedrooms for 20 years. After nearly 20 years in this role, I still find myself visiting a finished installation enjoying the buzz of customers saying, “it’s exactly what I wanted, just as I had imagined”. I’ve been with Fineline for 7 years, I love working for a company that is as conscientious as Fineline. Throughout the whole process at the forefront of all our minds is delighting our customers. No two projects are ever the same, I enjoy being part of building something that starts out as a conversation and ends up as a finished job. Alex joined Fineline in 2014 while studying at University, working weekends and holidays. On leaving University he decided to follow in his dads’ footsteps in to the family business. Alex initially joined the production team before progressing to the installation team. Once Alex fully understood the manufacturing and installation processes he joined the design staff, where he is now working as a Bedroom and Kitchen designer, bringing all that useful experience and knowledge to his designs. Although I have enjoyed all aspects of my work roles with Fineline, I must admit that designing was always my ambition. I am very much a “people person” and I love the day to day contact with the customers. It’s extremely satisfying to know that you are doing something that makes people happy, helping them to create their dream home. My background in manufacturing and fitting furniture has been a massive advantage in the role of a designer. Myles joined Fineline Warrington in August 2018. We were looking for someone specifically with design background. Having gained an upper second-class Honours Degree in Industrial Design at University, and a good background in customer services, Myles was the perfect choice to join the Fineline family. Working at Fineline as a designer has given me the opportunity to put all my creative skills into practice. I thoroughly enjoy working with customers and designing great spaces where they can enjoy time with family and friends in their home. Customer service is such a key factor at Fineline, I have learnt that communication is equally as important as the design process itself. Every customer and project are individual and a fresh approach from the designer is essential. 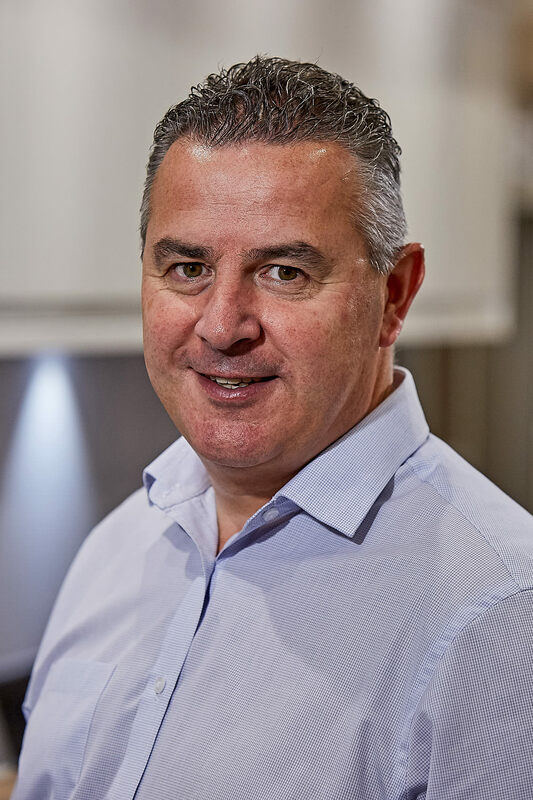 Neil has been with Fineline for 18 years and he is ultimately responsible for the “smooth running” of every fitted kitchen, bedroom or home study that Fineline does. So yes, big job, but he does have the support of the production team on his side. I started at Fineline over 18 years ago, back then my role was purely administration duties. I have progressed through the company over the years and I now manage the whole production team, from manufacturing of the furniture to installation. Working closely with the designers, surveyors and customers gives me the best of both worlds. I can’t imagine working for any other company. Here at Fineline we work as a team, which is why we are so effective at what we do. Not many independent kitchen & bedroom companies have stood the test of time like Fineline. When Fineline expanded into the Warrington area Phil joined the Fineline team. Working out of both Oldham and Warrington showrooms, ensuring that the customer experience with us is a great one. I have been in the Kitchen & Bedroom industry since leaving school 22 years ago, and I have covered all the roles from design, installation, manufacturing, purchasing and now surveying. I have loads of experience which makes for a great grounding for role of surveyor. It’s what I know and what I enjoy doing, especially seeing the final product fitted and the satisfaction of the customers. 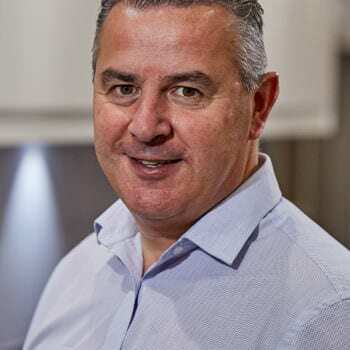 Andy joined Fineline in February 2019, having worked for other kitchen, bedroom and home studies retailers, Andy brought with him a wealth of knowledge and experience. It’s essential that the Fineline customer experience in Warrington is every bit as good as Oldham and Andy will ensure that this is the case. This industry is like no other, we can help bring a customer’s dreams to life and make them a reality every day. The enjoyment that comes from that is not exclusive to our customers, all of us at Fineline get a genuine kick out of bringing the experience to life and a real sense of pride of what we can achieve together. Having worked for other kitchen, bedroom and home studies retailers I can honestly say that Fineline are truly a quality company. The level of service we offer is second to none, nothing is too much trouble and we embody the attitude of “big enough to deliver and small enough to care”. Our Showrooms are fantastic, the product is exceptional and the level of detail and expertise we go into for each job is truly remarkable. Golf, F1 and Football. Spending time with my two sons. At Fineline Interiors, we’ve been offering a complete design and installation service for over 30 years. Just another reason why our customers choose Fineline. Great finance deals on your next fitted kitchen, bedroom or home office. A range of options so you can pick the best finance offer for your home. With kitchen and bedroom showrooms across the North West in Oldham, Warrington, and Littleborough, we’re always here to discuss your dream interior ideas.